Q: How much does postage and shipping cost? A: Now, we offer FREE SHIPPING on all orders irrespective of the size of your order. Q: Where are the orders SHIPPED from? 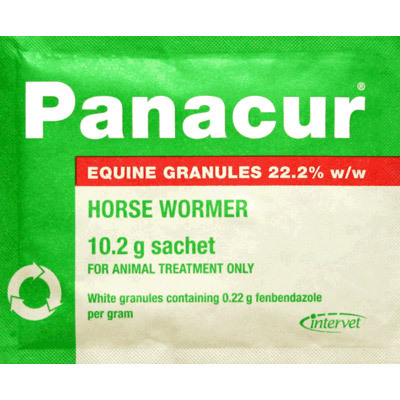 A: All orders are shipped from our Vet Practice in the United Kingdom (UK). Hence, the delivery time would range from 6-10 business days depending on which part the US you live i.e. orders are generally delivered in and around New York within 6-7 days. Q: Are your prices in US dollars? A: Yes, all the prices on PetCareSupplies.com are in US dollars. Q: Do I need a prescription to order from you? A: PetCareSupplies.com does not sell prescription products. 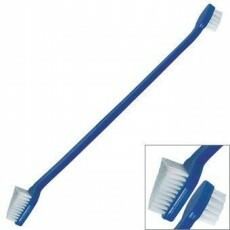 All the products we sell are PET SUPPLIES. A:To keep our prices low, orders are shipped from outside the USA. More than 98% of our orders are shipped within one or two working days of the order being placed on our site. We recommend you allow a delivery time of 10-14 working days to the USA from the date your order is shipped. 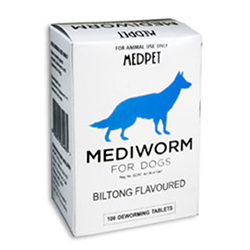 Customers are advised to order 3 to 4 weeks before their pet requires treatment. Please Note: The orders to be delivered outside the U.S. will take an average of 2 to 3 weeks. If you have not received a shipping confirmation email within 5 working days of placing your order, please check that the email has not been stopped by a spam filter. If you haven’t received the shipping confirmation email or you do not receive your order within 28 days of shipment, please call our customer service center on our Toll Free on 1-800-788-2124 (9:00 AM to 6:00 PM Mon-Sat CST) or email customercare@petcaresupplies.com. During the Christmas and Holiday season the deliveries can be delayed due to increase in postal volume. Hence, it is recommended that you place the order much in advance. Q: Is Shopping with PetCareSupplies.com secure? 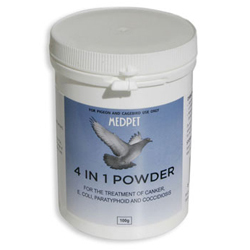 A: Buying online from PetCareSupplies.com is safe and reliable. To ensure your payments are secure, we use the latest available 256-bit encryption technology (also known as SSL Technology). Your credit card details are never sent by email and we will never disclose your details to anyone without your permission. Q: What do I need to do if I want to change my order? A: Please contact us immediately on Toll Free 1-800-788-2124 or email us at customercare@PetCareSupplies.com. Since orders are shipped within 24-48 hour, it’s important that you let us know of any changes as soon as possible. Q: Will you keep my personal details private? A: Yes. We understand that your privacy is important, that's why we will never pass on your name, address or email address to anyone without your permission. Q: I have a coupon code, how do I use it? A: If you have a valid coupon code, you can enter it in the coupon code box on the shopping cart to receive your discount. You can then enter the coupon code and press the Apply button. 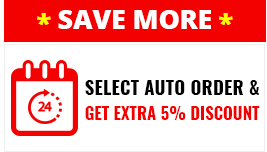 If the code has worked then you will see the discount applied to your total. You can then proceed to check out. Q: I am having trouble accessing my shopping cart, what am I doing wrong? A: The reason you are having trouble accessing the shopping cart might mean a problem with the cookies setting on your computer. It may have expired or not set properly, causing you to be booted out. Sometimes though it’s just one of those "internet" things, which can happen. All we can suggest is that you try again and see if you are still having a problem ordering. If you are, please call our Toll Free 1-800-788-2124 (9:00 AM to 6:00 PM Mon-Sat CST) and order over the phone. Q: I'm not happy with my order, what can I do? 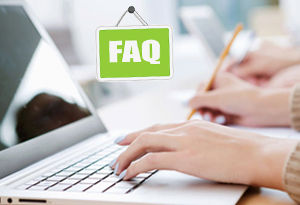 A: If for any reason you are not happy with any products you have ordered from us, when you receive them, send us an email at customercare@PetCareSupplies.com or call us Toll Free 1-800-788-2124 (9:00 AM to 6:00 PM Mon-Sat CST) to arrange return and refunds. Please do not ship them back or send "Return to Sender" until you have spoken to one of our representatives. Q: Will I get a full refund on my returns? A: You will receive a refund of your order value minus $5 deduction to your credit card or method of payment within 4-5 working days. A $5 deduction will be made from your refund amount for postage and handling costs incurred to send you the order in the initial shipment. Q. Will all returns be accepted and refunded automatically? A: All returns will be accepted. However, if we haven't been contacted to have the return authorized and you do not have a return authorization number, then we will not be able to issue a refund. If you have ordered wrong product/size, and the same is not returned, in such cases, we do not issue a refund. Q: Are your products genuine brands? A: All the products we sell are official versions manufactured by the same manufacturer who makes the equivalent product for the USA and other markets worldwide. For example, all Frontline Plus made by Merial and sold throughout the world is manufactured in same way and form. All the vials are made exactly the same and then stamped with the appropriate regulatory information depending on which market it is being sold in. The US version has FDA approved packaging while, for example the Australian version has it's own regulating authorities approved packaging and UK has its own markings. The international versions of the EPA and FDA are equally strict as their counterparts in the USA. The instructions for use and safety directions are in English, the color coding of the pack sizes are the same as in the USA but you should note that the sizes are written in the metric system and care should be taken that the appropriate dose is given. Q: Does your Frontline Plus control ticks? A: In the US, Frontline Plus for Cats and Frontline Plus for Dogs is registered for the control of fleas and all stages of deer ticks (the major carrier of Lyme disease), brown dog ticks, American dog ticks and lone star ticks. This product may be sourced from outside of the US, so no mention is made of these US ticks on the packaging. This product however has exactly the same ingredients as Frontline Plus for Cats and Frontline Plus for Dogs sold in the US so will cover the same ticks. Q: My card keeps being declined, but my card is not overdrawn. What can I do? A: Some credit card companies do not permit card holders to make international transactions without prior approval. If your credit card is being declined, please try contacting your credit card company and ask them to make sure transactions with PetCareSupplies.com will not be blocked. Q: My credit card statement shows a "foreign card fee" or “International Fee” as well as my payment to you? A: Unfortunately, as we are based outside USA, a small number of credit card companies impose a small "foreign transaction fee" on your purchase. This happens rarely, and if it does, it's usually only 1 or 2% and we are confident you will still be pleased with the total price of our products. If you are unsure whether your credit card company imposes such a fee, you may wish to contact them before you place your order. A: If you have any questions on our products or service, please call us Toll Free 1-800-788-2124 (9:00 AM to 6:00 PM Mon-Sat CST) or email customercare@PetCareSupplies.com. If you are in any way concerned with your animal's health, consult your local vet immediately. Please note, we are unable to provide advice on individual complaints or ailments. Q: Sometimes images on website are different from product received, why? A: All images shown are for illustration purposes only. Actual product may vary due to product enhancement or supplier change. Sometimes, due to differences in monitors, colors of products may also appear different to those shown on the site. Also, some products may have an associated image only, which are for reference and illustration purpose only.